Previous issues of all four magazines are now available online; pick up your copies today! 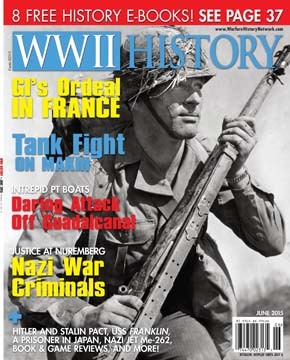 Warfare History Network is pleased to announce that our back issues are now available for purchase! Simply browse the list of available copies and click on a cover to view its contents. You’ll find a description of each issues’ features and departments, plus some additional images from inside the magazine. 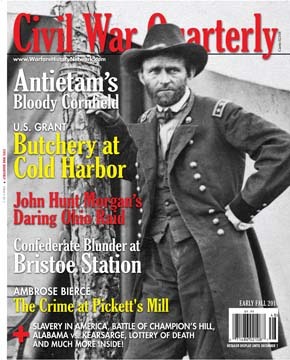 Civil War Quarterly is the foremost American Civil War quarterly magazine, from the first shots fired at Fort Sumter, to Antietam, to the surrender of Robert E. Lee at Appomattox. In addition to substantial military coverage, we also examine the political climate of the 1860s and how the war influenced civilian life in the North and South. A trove of Civil War photos, maps, and color illustrations complement our written contributions from a team of established writers, including William Welsh, Pedro Garcia, and acclaimed author-historian Roy Morris Jr.
WWII Quarterly is your quarterly guide through the greatest war in history. Here you’ll find our in-depth and vivid accounts, from the desperate fighting on the Eastern Front to Iwo Jima. Our vast collection of rare photographs, battle maps, illustrations and meticulously researched articles will give you new insight into your favorite battles and events. You’ll also find stories that cover the Nazis’ doomed atomic program, past interviews with the Navajo code talkers, and detailed accounts of the Normandy Invasion from the men who stormed the beaches. WWII History is the foremost authority World War II. 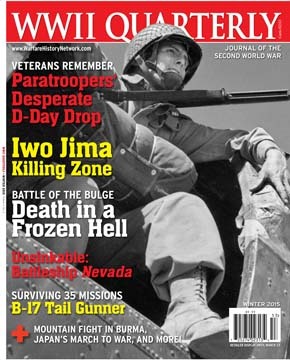 Each issue covers the famous battles, little-known incidents and usually forgotten sidebars to put you right in the action. You’ll find dozens and dozens of rare photographs, colorfully crisp paintings and meticulously detailed drawings culled from the biggest and best archives in the world. Printed on thick, glossy paper, with book-style binding, our prints allow you to store your collection on your shelves with the rest of your history library. 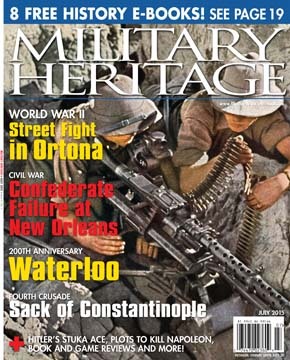 Military Heritage is the most elegantly produced, most intelligently written magazine on the history of armed conflict. Here you’ll find beautiful photos, fully detailed maps, and gripping features depicting all aspects of military history. We’ve assembled an extensive collection of first-hand accounts, stunning visuals and expert analysis provided by top military strategists. Whatever your interests, you’ll find a wealth of information about the events that shaped the course of history. The list will expand as new issues become available, so be sure to check back often!